Place chicken in crock put. Using a blender or an immersion blender mix oranges until smooth (no need to drain). Combine purred oranges, bbq sauce, apricot jam and soy sauce in a small bowl. Pour over chicken. Cook on low for 6 hours or on high for 4 hours. Serve over rice. 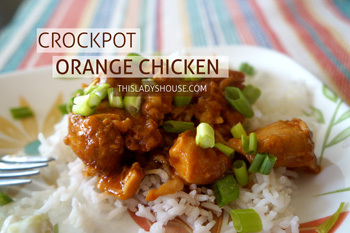 This entry was posted in Recipe and tagged Crockpot, Dinner, Poultry.